Mar was born in Almería. She obtains her Professional Education Degree in Classical Dance at the Royal Conservatory of Dance “Mariemma” of Madrid (2006). After her studies she began working in the Ballet de Teatres (Valencia Region, Spain) participating in productions such us Sleeping Beauty by Goyo Montero, Lago by Ramon Oller or the program Duatox3 by Nacho Duato. In 2012, she received a degree in Choreography and Performance from the Conservatorio Superior de Danza “María de Ávila” in Madrid, obtaining the Extraordinary Final Project Award along with Begoña Quiñones for their project fETCH. 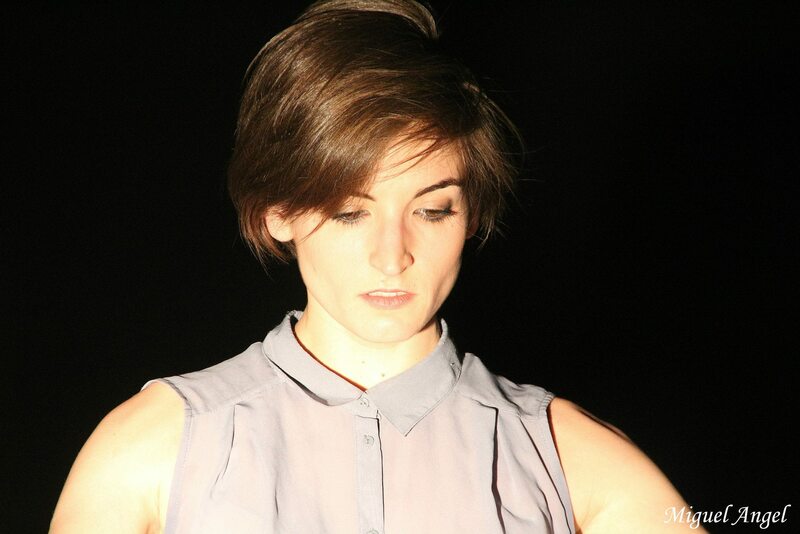 While obtaining her higher education at the Conservatory María de Ávila, she was awarded a scholarship to attend the American Dance Festival (North Carolina, US) and the Melt Festival (organized by Movement Research in New York City) for her outstanding performance during Madrid’s 24th Annual Choreographic Contest (2010). She has also danced leading roles with Dani Panullo Dance Theater Co.; she works as a freelance in Ava Dance Company under the artistic direction of Avatâra Ayuso in many productions. Some of them have been released at the European Centre for the Arts Hellerau (Dresden, Germany) and more recently “Provisional Landscapes” which was premiered at Sadler Wells (Lylian Baylis Studio). As a choreographer Mar has created fETCH together with Begoña Quiñones and a solo work titled “La Mecánica Secreta del Cuerpo”. Her solo work was semifinalist in the Talent Madrid Contest of 2013. fETCH meanwhile, received the Jury’s Choice Award to Best Choreography XVIIIMASDANZA Choreographic Contest (2013) and has been scheduled in different festivals such as Madrid en Danza, Trayectos (Zaragoza), Cadiz in Dance, among others. As a teacher she teaches contemporary dance when working for companies AVA Dance Company and Dani Pannullo Dance Theatre Co., and during 2013-2014 courseshe was one of the faculties from Professional Dance School of Castilla y Leon led by Juan Carlos Santamaría.